Whichever way you spell it, you can’t deny specialty doughnuts (or donuts), have increased in popularity in recent years. So much so, that in August of last year Foodable went as far as determining which are the top three shops in the United States. Well, this week, a former pizza brand executive, Chris Schultz was appointed as the new chief executive officer for a cult-favorite, doughnut brand— VooDoo Doughnut. Last year, Paul Barron, Foodable’s CEO and Editor-In-Chief, sat down with Schultz, the former Senior Vice President to MOD Pizza to discuss what are the secrets for an emerging brand to be successful. The beer industry has changed tremendously over the past 20 years. Today you can find a local Craft Beer in almost every city across the country, creating a new generation of beer lovers. The United States has gone from the home of the light lager to one of the most recognized beer manufacturers in the world. If you have been following the progression of craft beer in the U.S.A, there’s one place you must explore: Portland, OR. Also known as Beervana. Arguably, the birthplace of the craft beer movement. In this pilot episode of Foodable Network’s new show, “Beer Artisan,” host Kerry Finsand, founder of Taplister, takes us on a journey filled with hops, perfect pours, and interviews with some of Portland’s best brewers, including Cascade Brewing and Widmer Brothers Brewing Company. “Beer Artisan” is a show that covers all things 'craft beer' for the industry— from production quality and scalability to the best equipment and interesting ingredients. The show explores the movement that has transformed America from a country dominated by big-label beers, into one with more than 3,400 craft breweries. 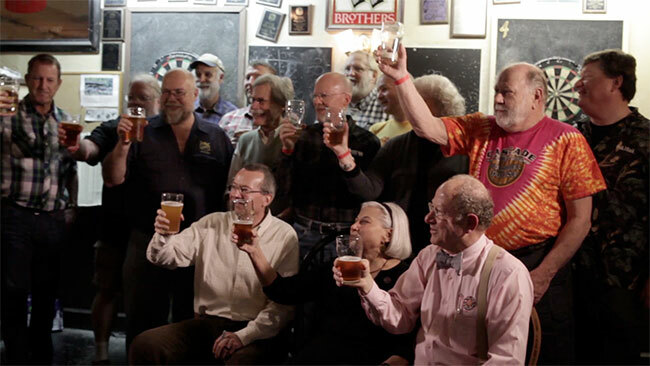 "Beer Artisan" serves to tell the story of this phenomenal culture shift, as well as introduce the passionate personalities that made it happen— and what they went through to get here. Watch the full episode to get a behind-the-scenes look into what makes Portland the ultimate Beervana! Throughout Portland, a new crop of South American restaurants have been opening all over the city. From Peruvian and Chilean to Argentinian and Brazilian, the number of newcomers to the Portland scene is staggering. Perhaps the best known is Paiche, the Peruvian restaurant that opened in Southwest Portland by Chef Jose Luis de Cossio. Paiche is open for lunch service only but has already become quite the hit amongst locals for its numerous seafood, vegetarian and vegan dishes. Leading Culinary Predictions and Trends 2016: What’s in the Hunt? Newly released smartphone app Chew Dining Club is looking to help restaurants lure in hungry Portland diners by offering rewards for their dining habits. Structured much in the same way as a restaurant rewards program, Chew Dining Club currently provides rewards to diners who visit one of the 12 local restaurants the app currently works with. The company has also announced their plan for eventually expanding to work with between 30-40 different local eateries. Is McDonald’s on the Fast Track to Reinventing Fast Food?